You are not looking at the surface of the moon. 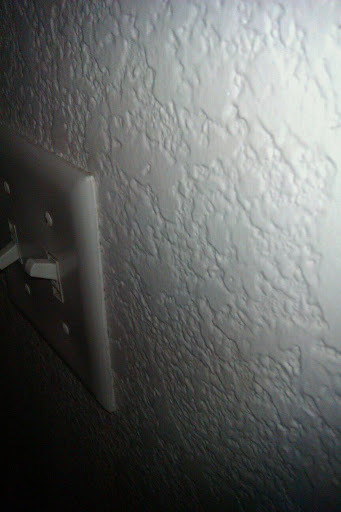 This is the texture (known as knockdown) in most of our newer homes. What happened to smooth walls, orange peel, or even splatter? Applying coatings over these moon craters presents a problem that the painting community seems to ignore. It is ignored because most of the knockdown texture seems to be applied in California and along the mountain range. When you are gathering advice on the internet most sites, videos, and blogs will pass right over this topic. Painting can be a challenging task for most DIY... trying to paint over heavy knockdown texture can make it a nightmare.